Since the podcast boom took place a few years ago, it seems that the majority of crime podcasts venture down the familiar road of “journalist goes in search of answers about why a particular crime occurred”. Happy Face is a bit different. 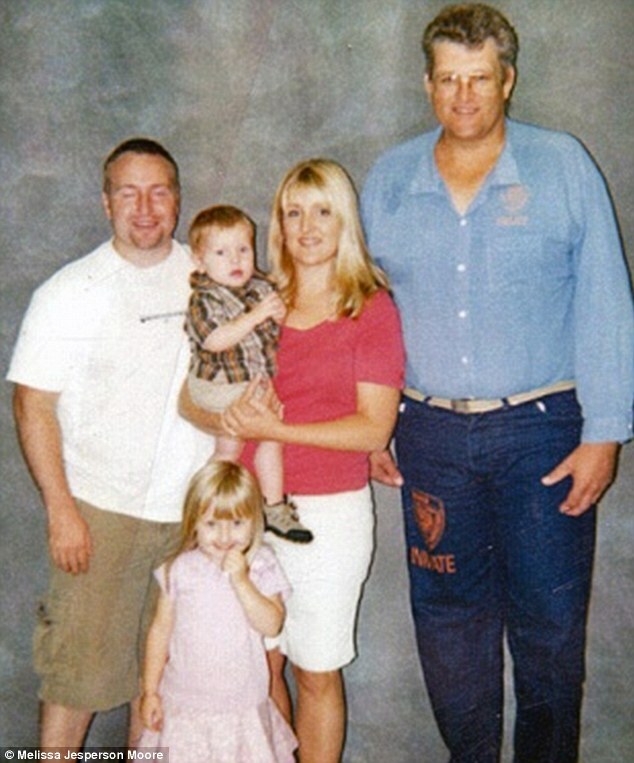 It focuses on Melissa Moore, and her search for clarity and understanding around why her father, Keith Hunter Jesperson, the Happy Face killer (known to have murdered at least eight women across America over a five year period in the early nineties) committed the crimes that he did. This new 12 part podcast from How Stuff Works is hosted by Moore herself. The podcast looks at all facets of her life, from what she initially thought was her early idyllic childhood, with her mother, father and two younger siblings, to her parents’ divorce when she was 10 years old and her slow realisation that her father was not the hero she always thought he was. Jesperson was a long-haul truck driver and the joy that Melissa describes of his arrival home from one of his trips is familiar to any child whose parent travels for work. The window panes would shake as the truck pulled up in front of the house and Melissa and her two younger siblings would race out to greet their father and try to get all of the change out of his pockets. Jesperson wasn’t always a hero to his children when they were growing up and Melissa recounts the story of a time he grabbed a cat that she and her brother were petting and proceeded to strangle the cat. In the second episode, Melissa goes to speak with her mother Rose about her father, while also recounting that for years she blamed her mother for her parents’ divorce. While to his children he was a superhero who would fly in and shower them with love, Rose paints a picture of a man who had serious psychological problems from a young age and that on more than one occasion tried to inadvertently murder his family. While the first two episodes of Happy Face build up the world of the Happy Face killer for the listener, Keith Jesperson is so far a small player in the podcast. This changes in episode three when we focus on Keith himself and, in particular, his childhood and his own relationship with his father, Les. So far, this is the most harrowing episode of the series, as you find yourself almost feeling sympathy for Keith and the treatment he received from his father from an early age. This episode also focuses on what makes a serial killer, as Melissa details her darkest fears that she could have the potential to end up as a serial killer, like the man she so closely resembles, or that she could have passed that psychological trait to her son. While Melissa is trying to work all of that out, she is also trying to figure out what motivated her father to do what he did: was it the head injury he sustained as a child? Was it the abusive household he grew up in? Or was it just genetics? So far five episodes have been released and, with seven episodes left, the series will continue to focus on Melissa through her journey of trying to finally understand and accept what her father did. From doing a bit of research (and accidentally spoiling some of the story for myself), Melissa will interview relatives of some of Jesperson’s victims and Jesperson himself will make a few more appearances through tapes that were recorded by a psychologist around the time of his arrest in 1995. Although the story being told is undoubtedly horrifying, and uneasy listening at times, it is not told for plain shock value. Instead, it is there to make you, and perhaps Melissa herself, understand her past, while also highlighting the suffering that continues for the families of murderers and how they too have to overcome grief and adversity in order to get back to some semblance of normality.